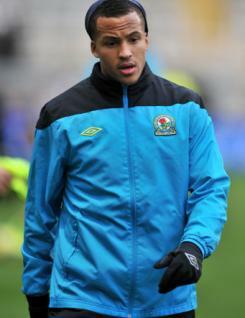 Martin Olsson is a young left-sided player who signed for Blackburn Rovers as a 17-year-old at the beginning of 2006. He made his senior debut in a UEFA Cup tie against Finland?s My Pa-47 in August 2007, but it was not until the second half of the 2009-10 season that he was able to establish himself in the line-up at Ewood Park. In 2010-11 he missed time through injury before regaining his place in the side in the new year. A left back or left-sided midfield player, Martin is effective when pushing forward down the flank. He won his first full caps for Sweden in the summer of 2010.